Materials: oil on canvas. Dimensions: 90 x 163.9 cm. Nr.: ? 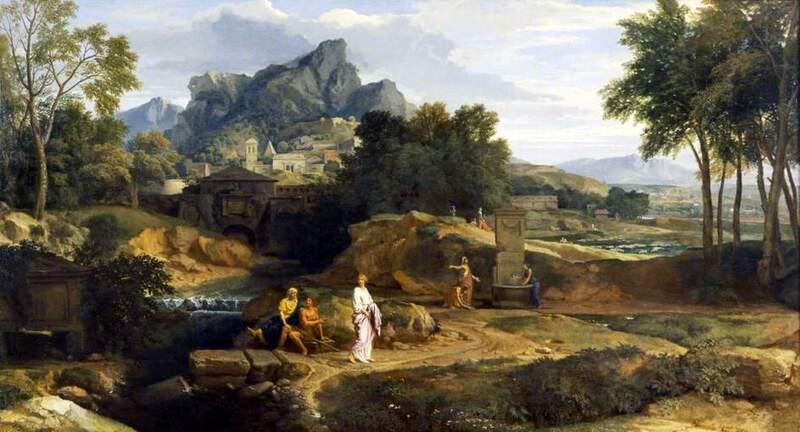 Source: http://www.bbc.co.uk/arts/yourpaintings/paintings/classical-landscape-with-figures-near-a-fountain-hillside178886. I have changed the light and contrast of the original photo.